I discovered this recipe in a 1976 advertisement from the Egg Farmers of Ontario. 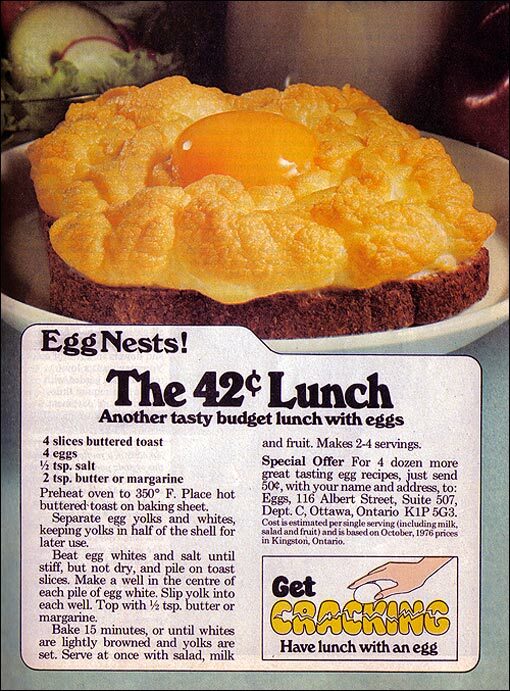 The ad promoted the recipe as The 42 Cent Lunch, but it struck me that eggs on toast might be better suited for breakfast. 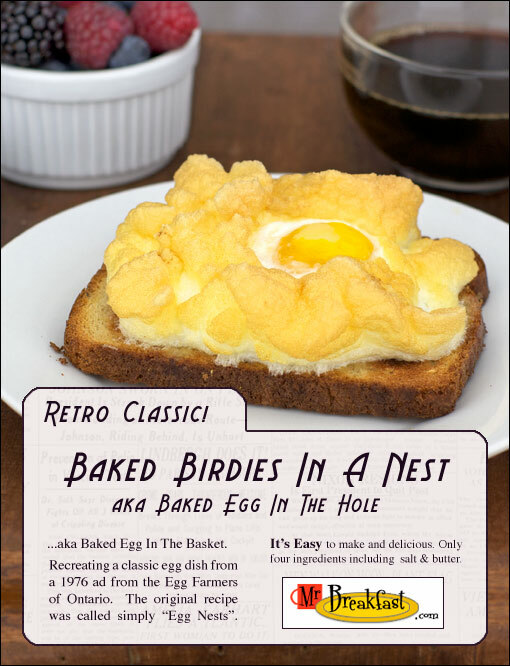 It’s an interesting take on the classic Egg in the Hole. 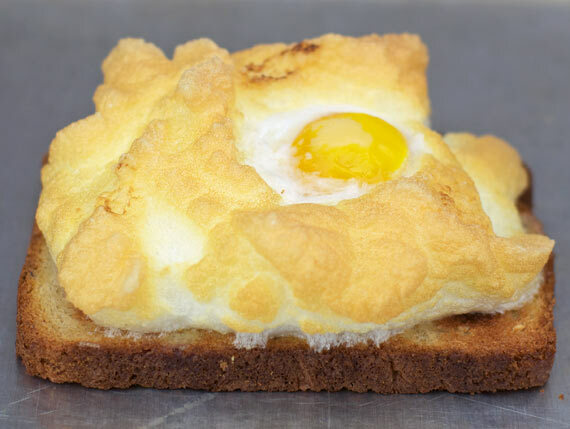 Instead of cooking an egg within a slice of toast, the egg rests on top of the toast. 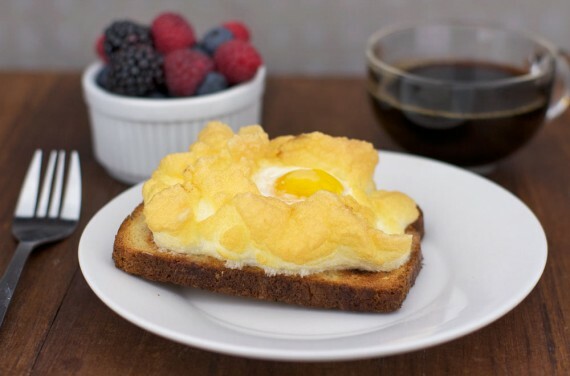 The yolk is supported by a pillow of beaten egg white that’s baked until golden brown. 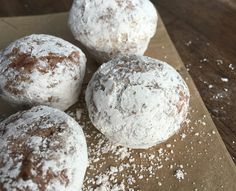 This morning I “got cracking” and tried making this vintage recipe. 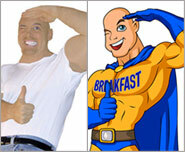 Above, you can see that the dish turned out pretty much like the picture in the ad. The yolk wasn’t quite as vibrant, but other than that, it was awesome. 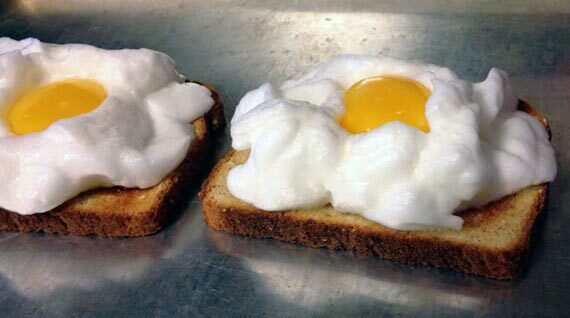 It was easy to make, tasty and a really fun way to do eggs and toast in a unique way. The ingredients are just eggs, bread, butter and salt. For the original recipe as printed in the ad, click here. Toast your bread. While the bread is in the toaster, separate your egg whites from the yolks. 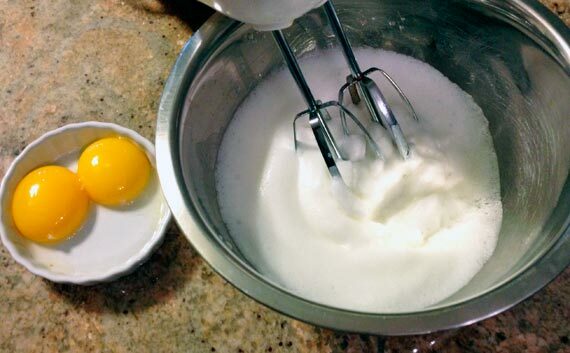 Beat the egg whites until stiff. It only takes a minute with an electric beater. Remove the Baked Birdies from the oven and serve with hash browns or fruit. You can eat this with a fork or with your hands. The yolk will still be just a bit runny, but not enough to get messy. If you want the yolk cooked through completely, switch your oven to broil for the last 2 minutes of cooking. 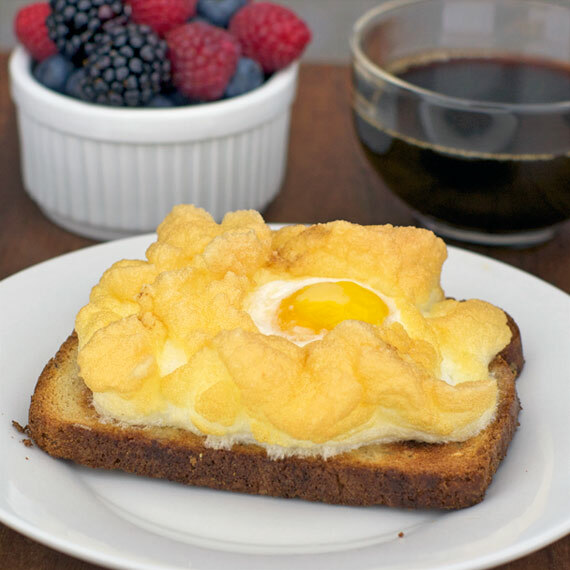 No mater what you call it, Baked Birdies in a Nest (aka Egg in a Basket; aka Egg in the Hole; aka Toad in a Hole; aka Baked Popeye) is a fun way to serve an ordinary breakfast in a fun, new way. Even though, ironically, this new way is 37 years old. 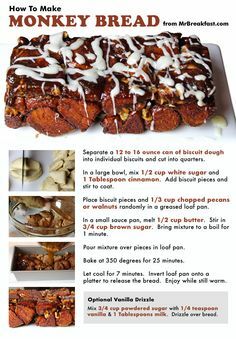 Banana Bread... So Easy, It's Bananas! Thanks for the comment Mapleleef! I’ll put Eggs Goldenrod on my to-do list and post if it turns out. I have a recipe from great old breakfast cookbook from the early 60’s. 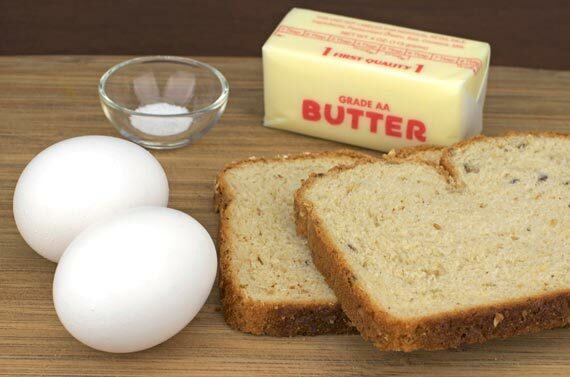 Do you top the yolk with the butter or the egg whites? Hi Mandy! I dotted the butter over both the whites and the yolk. Most of the butter pieces slid off the yolk onto the white because of the shape of the egg. I think the butter at the end is just for flavor. It seemed to cook the same regardless if a section was dotted or not. I remember my mother making these for us in the 1950s and 1960s. 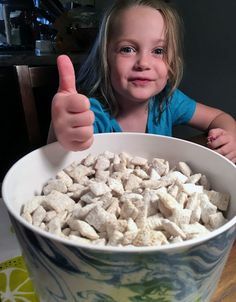 Lost her recipe, so glad I found it here.